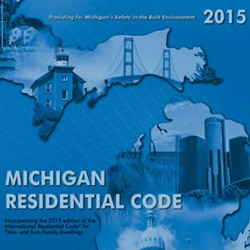 If you are a Michigan builder or anyone in the construction industry here in Michigan you have probably heard that a new 2015 energy code and building code will be effective starting February 8th, 2016. Yeah, the time has come. Some builders are already building homes meeting this code and some builders will need to make adjustments. If you are the ladder, I would start planning now! Similar to how it has been done in the past, Michigan has adapted its own version of an energy code. Even though the new code is labeled 2015, it is actually a combination the current Michigan Uniform Energy Code, the 2012 IECC and the 2015 IECC. This makes it confusing for builders, inspectors and anyone that has to deal with these changes. There are a lot of misinterpretations going around and we think it will take some time to iron out the challenges. This blog post will not go into extreme detail on the changes. It is designed to give you a brief update on what is happening and will give you an idea on how to move forward. Similar to the existing code (2009 Uniform Michigan Energy Code), builders can either follow the prescriptive path (follow code exactly) or the performance path (allowing builders flexibility). Builders will still have to provide documentation that states their proposed home will pass energy code with their permit application. They will also have to prove that it passes energy code to get their occupancy certificate at the end of the project. A compliance sticker will need to be placed on the electrical panel. Blower door testing will need to be completed on every home built in Michigan by an independent state approved third party. The home will need to be at 4 ACH50 (Air changes per hour at 50 Pascals) or less. The current code is 7 ACH50 or less, so it is a significant drop. Duct leakage testing will be required if you have duct work that is located outside the building envelope. For example, if you have a bonus room and your ducts are in the attic, you will have to have the system tested. It will need to be 4 CFM25 per 100 square feet or less if tested at the end of the project. If its tested at rough-in it will need to be at 3 CFM25 per 100 square feet or less. There are also prescriptive insulation requirements that have changed, but need to be looked at depending on what Zone you are building in. Mechanical ventilation requirement is contradicted in the new energy code. It is most likely going to be required, but we are still getting the details on this as we speak. This provision will require all homes to have a form of mechanical ventilation. 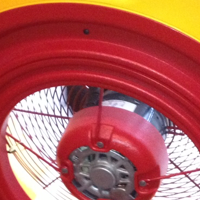 It can be either a balanced system (HRV or ERV), exhaust only (such as a bath fan running continuously) or supply only. 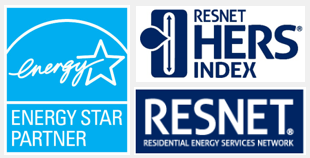 You can also meet code by getting an Energy Rating Index (HERS Index Rating) on the home and fall under a certain number. 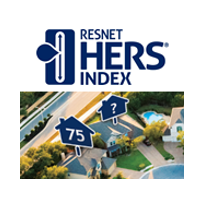 Many builders in Michigan are already using the HERS Index. Again this is a very brief description of the bigger changes in the new code. Our recommendation is that if you are not currently working with a building science consulting company, then make it your first priority to do so. If you are working with a company, make sure you are sitting down with them to get educated. Make sure you are reviewing your future projects to see what adjustments need to be made. If you don’t have a current project in the works, take a look at how your most recent project would have fallen under the new code. We also HIGHLY recommend talking with the building inspector that has jurisdiction in the area where you are building, to see how they are going to interpret and enforce the new code. We all know building inspectors interpret things differently and some are more stringent than others. Make sure you are prepared. It may take some extra work now, but you will save a lot of headaches in the long run. Chances are the new code is going to cost you more money to build, but the good thing is every builder is in the same boat. Also keep in mind, new codes are designed to enhance the homes we are building. You can either embrace or fight the change. The builders who are embracing the change are building better homes for their clients. How does REScheck fit in the new code? This is a great question! We are hearing from some building inspectors that they will be still accepting REScheck (2015 version). The thing to consider, is REScheck is based off the IECC code, not the States version. Meaning that the IECC code is more stringent than Michigans version. We have spoken with the DOE and they are not creating State specific versions of REScheck. As a builder, if you still use REScheck you may think you are saving money upfront, but you are probably spending more in the long run. With REScheck you are either going strictly by the prescriptive code or the UA approach. If you go the performance path and hire a third party building science company, you will spend a little more upfront, but you will probably be able to save on how much insulation you have to use. We are strongly suggesting builders move away from REScheck. 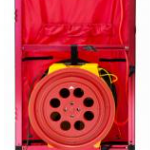 Now that you are required to do a blower door test, you mine as well find a company that can do your code compliance and blower door testing together in one package deal. 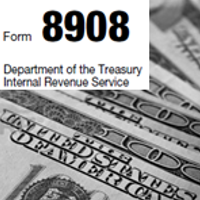 If you have questions or want more in depth information about the changes, please contact us today. 616-419-8558.